As experienced iOS developers, we are well-versed in how to navigate this maze of requirements to launch your app. What are the app store guidelines? The “App Store Review Guidelines”, as they are more formally known, are a framework of considerations that Apple will take into account in assessing your suitability to be featured on the app store. The full list can be found here but we have summarised the main sections for you below. Safety is the primary consideration in the moderation process. Apple does not publish any content which they feel will harm, either physically, or financially, their users. They also take care to consider whether the content is in extremely poor taste or might cause offence. The rules are not so clear as to what actions constitute an app being unsafe with the main piece of advice seeming to be “We’ll know it when we see it”. A common-sense approach is best employed in this case, if you feel like you might be crossing a line, you probably are. This element focusses on the actual user experience presented by your app. Your app should be fully functional and complete before you submit it for review. The metadata should be complete as should the target age range (which helps with parental control settings). The hardware targeted by your app should also be used effectively. Excessive draining of battery life or unrelated background processes being run is not permitted. The business element of the app store guidelines governs subscriptions and in-app purchases. Whilst you are generally permitted to advertise your app at the price you see fit, however, if your pricing is deemed to be “irrationally high” or a “rip-off” you face rejection and even expulsion from the Developer program. This section may seem relatively straightforward but appearances can be deceptive. Not only do the overall guidelines suggest that your app design should be more than a re-purposed website, but they also suggest it should be appropriate for the device it is targeted to and not be a replication of another app (even if it belongs to you). 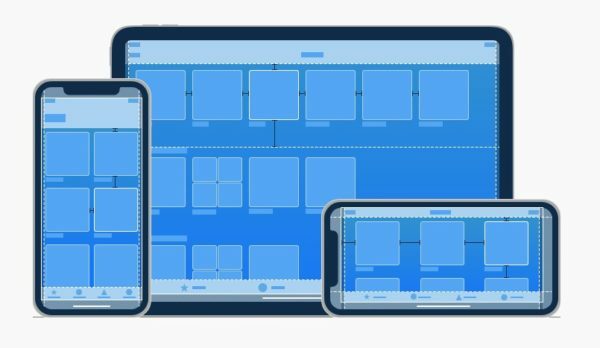 To add an additional layer of complexity there are also “Human Interface Guidelines” which offer advice on creating designs which are suitable for the movement and clarity expected on each device. Wherever your apps are made available they must comply with local laws and it is your responsibility to seek appropriate legal advice. This includes the handling, collection and storage of personal information, as well as obtaining permission from the user. Any contravention of intellectual property rights will result in removal from the app store. The app will be reviewed at the earliest opportunity. This may take longer depending upon the complexity of your app and the completeness of your review notes. You will see a status in App Store Connect so you can see how far along in the process you are. Once approved it can take a further 24 hours to appear on all storefronts. Failure to comply with any of the guidelines will, at best, result in a rejection. At worst you could be expelled from the Developer program altogether but this is likely to be as a result of persistent poor practices or fraudulent representations. Apple wants the app store to provide a safe environment for its users and an enjoyable experience. You shouldn’t take a rejection personally. Think of it as a way to further improve the great app you’ve produced. You can contact the App Review team to provide supplementary information or if you have any questions and re-submit your application. If you are continually dissatisfied with the outcome you can also raise an appeal. The number of barriers to getting an app on the app store is many and varied. Ultimately, if your app is unique, well-designed, safe and not in any way harmful to either users or intellectual property you shouldn’t be too far away. Neither this summary nor the checklist provided by Apple are exhaustive lists and Apple reserve the right to approve or reject any apps as they see fit. We always recommend employing experienced iOS developers to assist in your app project and here at Atom Engine, we are always happy to help. The 10 Cast mobile application uses Evidence Based Forecasting to dramatically improve the quality & accuracy of B2B sales forecasting.